For years, organizing a courier or parcel delivery has meant phone calls, filling in forms, creating accounts, forgetting account numbers and driving to depots. Even reading that sentence is exhausting! However, it is our mission at NI Parcels to make your courier booking experience as straightforward, effortless and as pleasant as possible. Yes – PLEASANT! To do that, we provide a very easy to use online courier service. Get A Quote, Book and Pay Online! 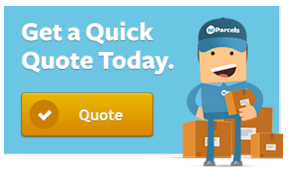 With NI Parcels, you get a quote, book and pay for your parcel delivery all online. You don’t have to leave the comfort of your own home for a second. It takes just a few clicks to book the courier service you require. After that, we will collect the parcel from you and deliver it to where it needs to go. We’ll also provide you with handy online tracking so you can monitor your shipment every step of the way. As well as booking your parcel delivery online, you also pay for your shipment online too. Our secure payment system allows you to pay easily by card, which means no bills or invoices – especially good news for any business owners out there! As well as easy online booking, there are so many reasons to send your parcels with NI Parcels. Low prices. We offer courier services from the likes of Parcelforce and DPD at discounted rates. Read more about our cheap prices here! Fast delivery times. Same day collection and next day delivery available on many routes. Worldwide delivery to 200+ countries. Excellent customer support via phone, email or live chat. 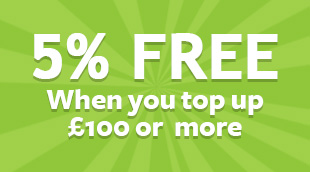 Get a quote now to see how much you could save!